This entry was posted in ByDesign, TechEd. Bookmark the permalink. I was there as well (i.e. in the hands-on session), and heard from a fellow-attendee that (to his experience) SMB’s with in-house IT could learn this scripting language(s) in a couple of weeks. So the need for partners developing add-ons remains to be seen. The opportunity might not be as big as partners would like it to be. This in contrast to the big enterprise world where the need for (specialized) partners is clearly established. Excellent point you are raising. Yes, I agree that the scripting language should be easy to learn. Upcoming documentation will reveal more here, but there shouldn’t be too much of a learning curve. But like with ABAP (which has a bigger learning curve, agreed) the REAL art lies in knowing the business objects and functionality. This might be the decisive area! Also, some SMBs I’ve worked for (around 200 employees) has a multi-skilled IT team where 1 team member looks after several areas (SAP, Notes, network admin). I can’t see smaller companies getting their hands dirty themselves. Maybe for a little fast ordering screen (like the one we created in the workshop), but not a larger solution like travel expenses or a wine yard add-on. These solutions would be provided by externals (I’m not saying “partners” here on purpose!). 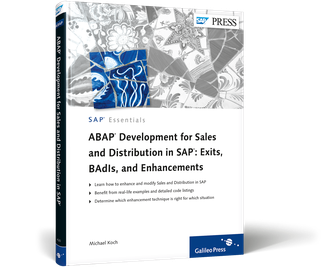 We offer training and demo capability for SAP-ByD as a none for profit organzation. Nice overview there. I was interested in the hands-on and usability tests, unfortunately, it conflicted with other sessions. This looks promising. Although from an SAP perspective, it might be surprising to opt for a derivative of C#, my previous experience has shown that this is the preferred language for SMEs. There is a widespread range of skillset that should allow them to build and maintain their apps. – Entrance model for the partners. – What about customers ? Will they be allowed in ? – Sales channel for the apps : Will there be a store where customers could find potentially interesting apps for them ? – Ability to integrate ByD with other cloud services by leveraging APIs ? – Will there be an API for Business By Design ? After a few ups and downs, ByD seems to be on a pretty good shape and I have the feeling that there will be some interesting developments to come in the near future. Re customers and allowing them in: Given the size of BYD potentials, I guess only a small minority will be interested in developing their own add-ons. But never say never. Especially if BYD is a platform for larger implementations (and larger customers), then this aspect will get more focus. Re Store: Yes, there will be an App-Store like online shop. We were informed at TechEd Berlin that something will be presented later this year. re APIs: I already wrote about the A2A (BYD to BYD) and A2X (BYD to external systems) APIs. More information re these will come out over the next weeks and months, but it’s good to know that these will be put in place. The A2A API offering will be larger than it’s A2X sibling, but that was to be expected. * The development tool itself was clunky; Am example was changing the text value in a header field – When something is called ‘xyz Studio’, regardless of the vendor, I expect to be able to change a property by typing over the value in the properties list (much like Visual Basic). * I had some other issues, like having to login repeatedly to one of the tools we used, but I think this was an issues with the network connectivity as much as anything. I know the SDK is meant for partners, not end customers, but I can see it being ‘slipped’ to the customer by a Partner or two, as a favour. In that situation, where the ‘IT’ department in an SMB is usually one or two people plus some outside contractors, consistency between tools is very important. Even within a Partner, consistency between tools can only help productivity. Having said all that, the SDK is still in Development and even when released, it will still only be version 1.0 of the SDK (although SAP would be silly not to keep the numbering in line with the ByD sequence). From a Partner developers point of view, its a wonderful improvement on what they have now (essentially nothing). Actually, the idea behind the customer ticket-in BYD developement is an opportunity for some customers to have some small sites, countries, affiliates where they cannot afford to spend a huge implementation project to use BYD. So the customer might be a big SAP customer but with a small affiliate in some country. In that case, they’d be able to develop a specific app to handle some processes. Up to now, many customers have done this using SAP Business One. In the future, there might be a shift from Business One to Business By Design. I am a BYD customer and I’ve requested access to the SDK a great number of times. I’m really hoping that SAP will open this up to a larger community. Thanks for your message. I’m not sure as to what the arrangement is with SDK access for customers, but I’d guess that you have to go through your BYD partner. Things will get clearer once more solution partners are on the scene (the ones who who will be involved into custom developments and add-ons).